Homeowners who are looking for something new are often drawn to hardwood flooring, for many obvious reasons. 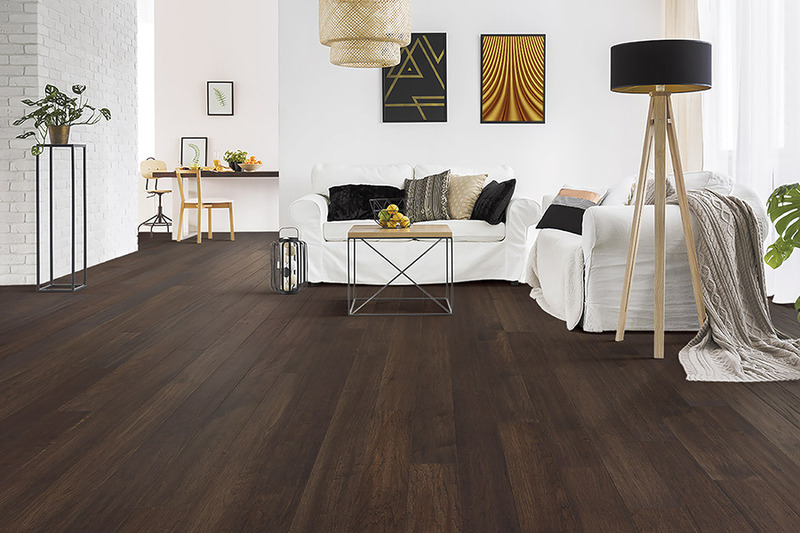 Some people are interested in the incredibly long lifespan this flooring offers, especially if they’re not looking to install a new floor anytime soon. Others are mesmerized by the stunning and timeless elegance of this material. According to old trends and projected ones alike, this floor covering is here to stay. Over time, it’s only gotten better, thanks to advancements in the flooring and industry alike. Cape Fear Flooring & Restoration offers a wide variety of floor covering and related services. We also have a staff of flooring professionals who will happy to assist you in finding the perfect floor covering for your home, no matter the specific needs you have. From our showroom in Fayetteville, NC, we serve the areas of Fayetteville, Fort Bragg, Lumberton, Eastover, and Hope Mills, and we look very forward to serving you as well. It isn’t so much a matter of finding the flooring that suits your needs, but rather putting a hardwood floor together to meet them. You have a variety of options that, together, will make an excellent and unique floor for your own home. You’ll start by assessing your current situation with regard to levels of activity and foot traffic, how humid your home tends to stay, and exactly which rooms you’re looking to floor. It’s important to note that solid hardwood flooring can never be installed in below-grade spaces such as basements. 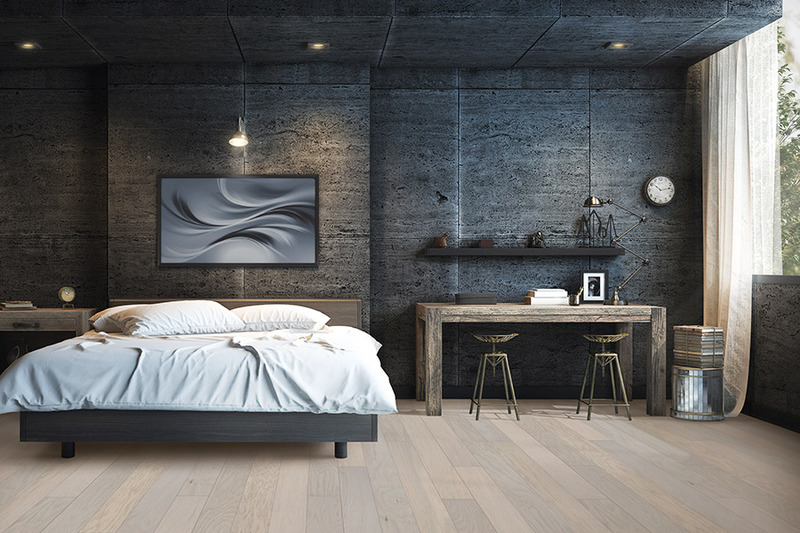 In rooms like this, if you intend to maintain the wood look, you’ll want to ask about products such as engineered wood flooring or luxury vinyl plank. Either will be a good product to place in these areas, as they don’t react to humidity, moisture, and temperature changes the same way that solid wood does. 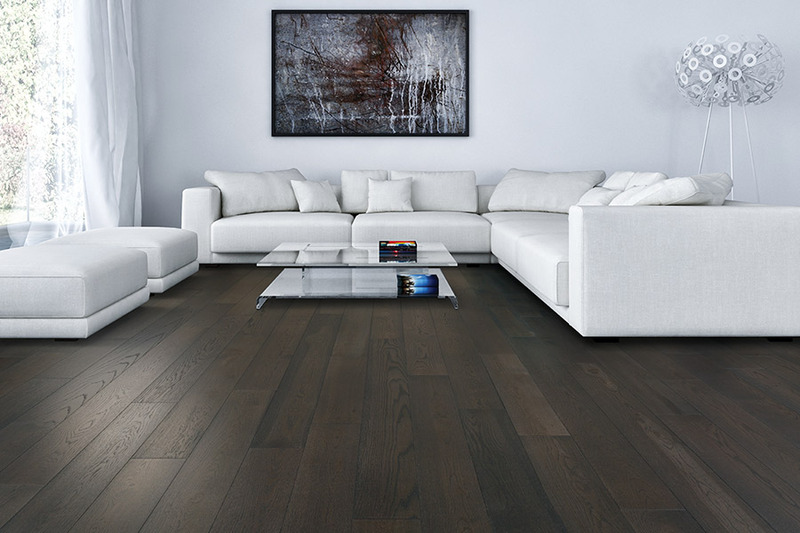 To get your hardwood floors started off right, you’ll want to pick a species that matches your activity level. For instance, if your home is very active, with children, pets, or lots of visitors in and out often, you need to choose a very hard species. The density will help bear the brunt of the traffic load without showing excessive signs of wear and tear. You can also make your own choices for stain color and finish type, which add another layer of personalization. Ask your flooring specialist to direct you to all the details concerning the two. Hardwood flooring gives your home a natural feeling. A good hardwood floor brings the beauty of nature inside. Wood floors have the ability to frame your furnishings, make an area rug “pop”, or finish any room. Solid hardwood flooring is a fantastic traditional choice that is available in two basic types. 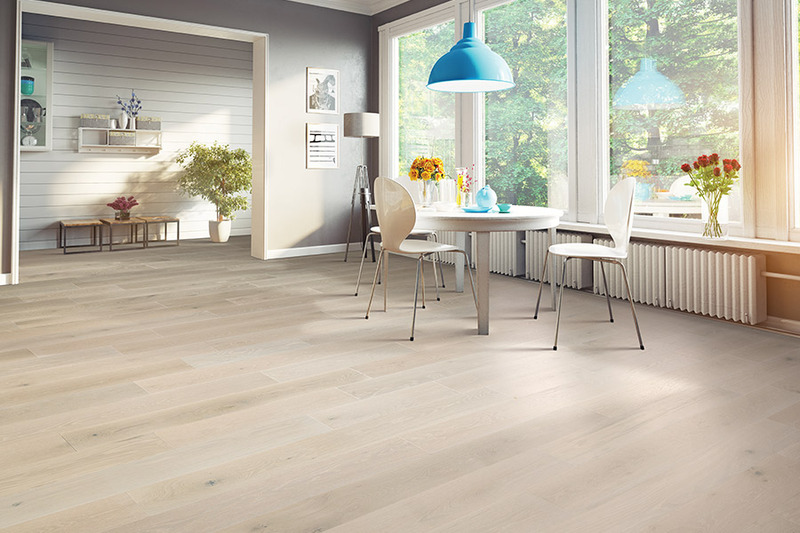 You can use either strip flooring or wider width planking. Dependable and long-lasting, hardwood floors are available in a range of prices to fit your budget. Oak hardwood: Oak is one of the most popular styles of hardwood flooring. Oak is one of the hardest woods available. This durability has made it a strong option for flooring for families. This helps it withstand impacts, dents, and scratches that would damage other, softer woods. Oak is widely available across the USA. This makes it also one of the most affordable hardwood flooring options. The wood also accepts stains well, making it easier to customize. 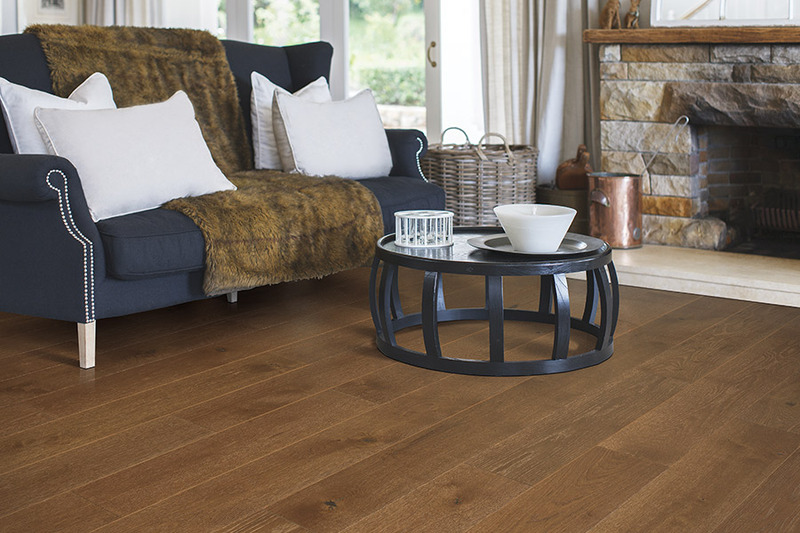 With its rich color and classic feel, oak makes for a perfect complement to any home design. Birch hardwood: Another popular hardwood flooring option is birch. 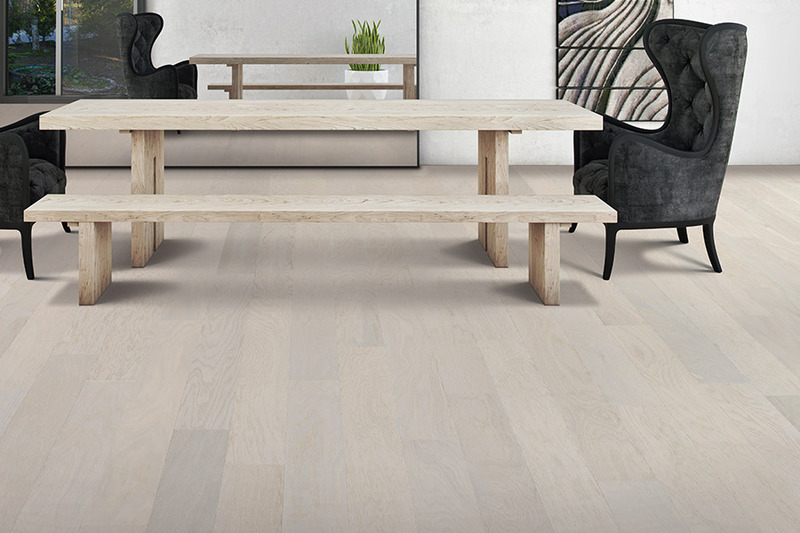 Birch is another relatively affordable wood thanks to its availability. This also adds to its sustainability. The tree is so plentiful it can be harvested in an eco-friendly manner. It can also be re-grown faster than many other hardwoods. Birch also boasts a bright, beautiful color that can brighten any room. Maple hardwood: Maple is valued for is gorgeous color, as well as its hardness. 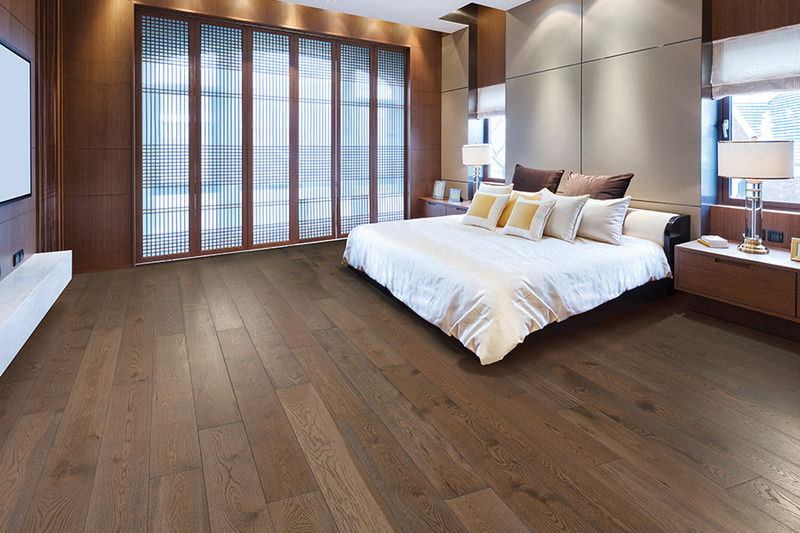 The plentiful supply makes it a cost-effective hardwood flooring option for many homeowners. It’s a stunning and stable wood. 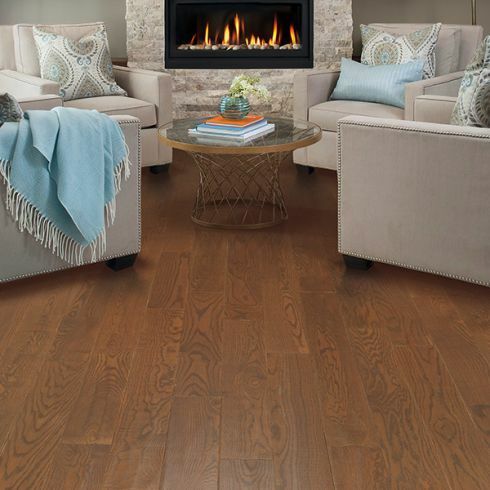 Maple can make your home stand out from the traditional oak floors without breaking the bank. 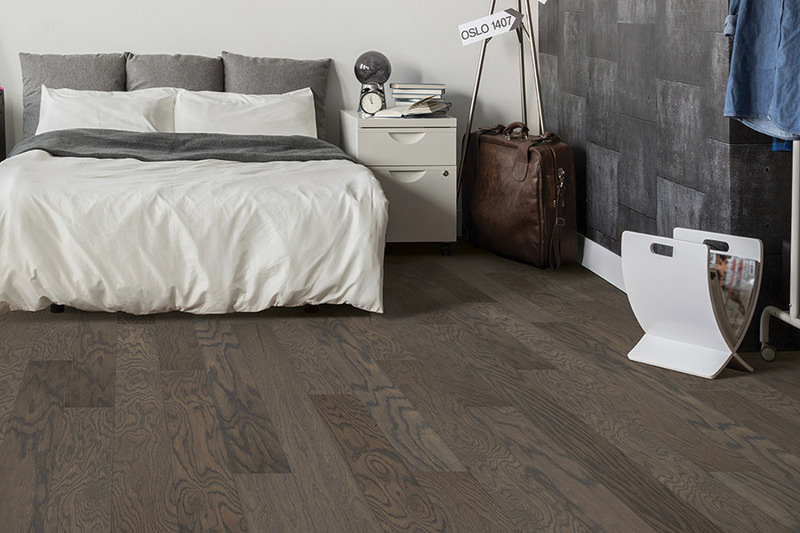 Ash hardwood: Ash is revered for its intricate wood grain that makes your floor look smooth and consistent. It’s a hard and durable wood, with a lighter color. Ash can absorb and hold stains well if you want to refinish your floor for a darker color. 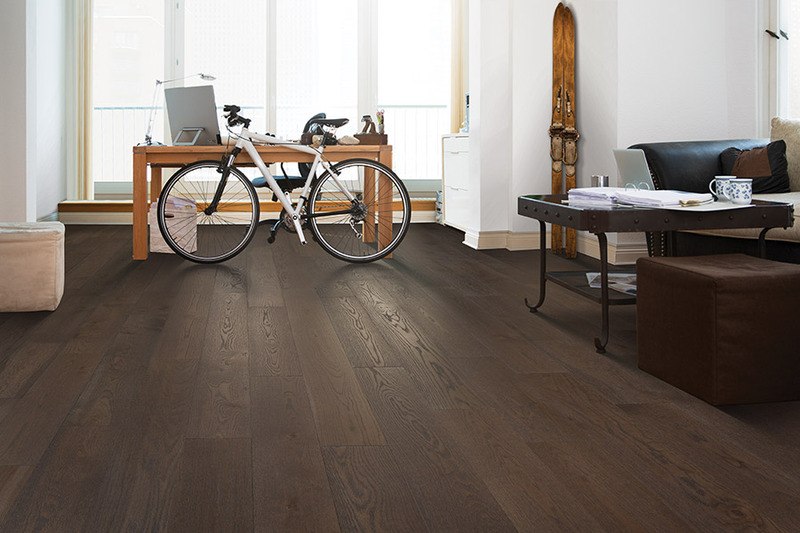 It’s durability and shock absorption also contribute to its popularity as a hardwood flooring choice. Cherry hardwood: It’s known for its intricate grain and the black pitch pockets on that wood that give it extra character. Cherry tends to darken and turn more red over time. This soft wood casts a glow to any room. Just remember that it’s sensitive to light when you choose where to install it. Bamboo flooring: Bamboo has rapidly become a popular option for wood floors. Bamboo offers real wood, at a very affordable price. It’s also one of the most environmentally sustainable woods available. Unlike other trees, bamboo is technically a grass. It takes only five years for a bamboo plant to reach maturity. This allows bamboo forests to regrow much faster than other trees. Wood flooring installation options include glue-down, nailed, or stapled floors. Our professional hardwood installation teams are trained to install various types of hardwoods over multiple surfaces. Trust our teams to leave your floors looking clean and amazing!